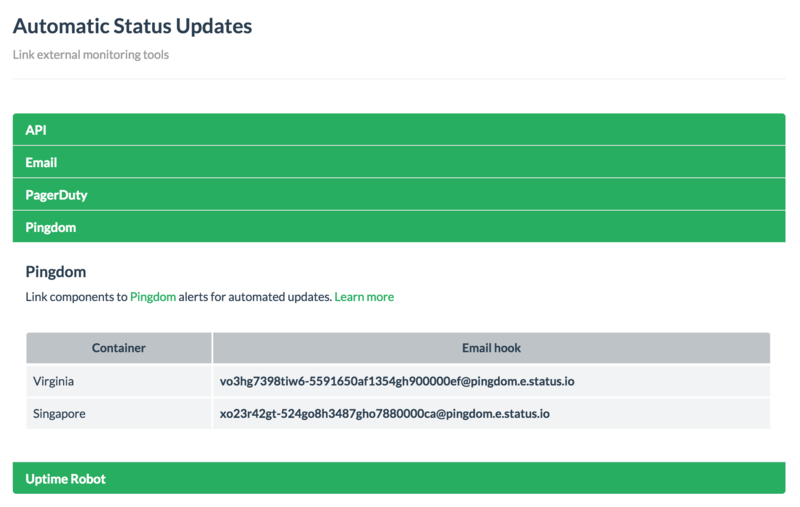 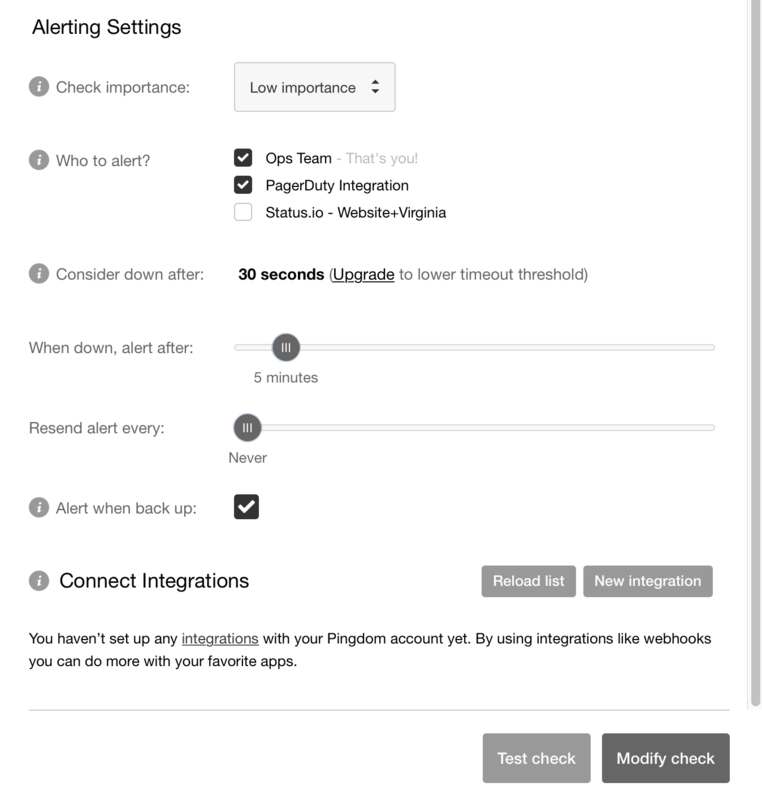 Connect your Pingdom checks directly to components on your status page to control the status automatically. 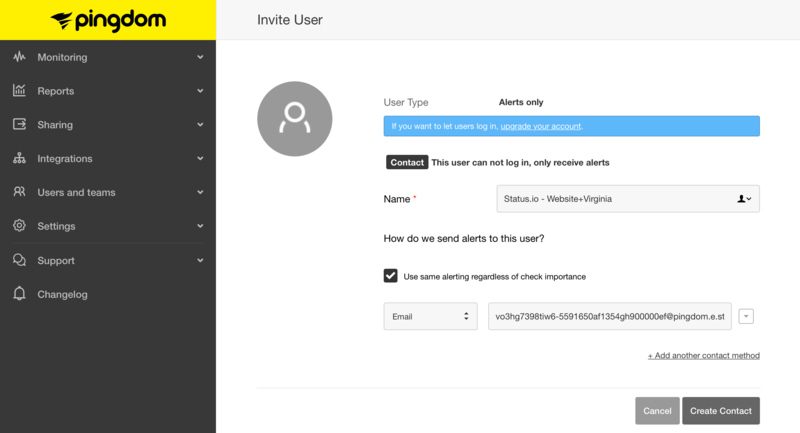 Up and down alerts are supported. 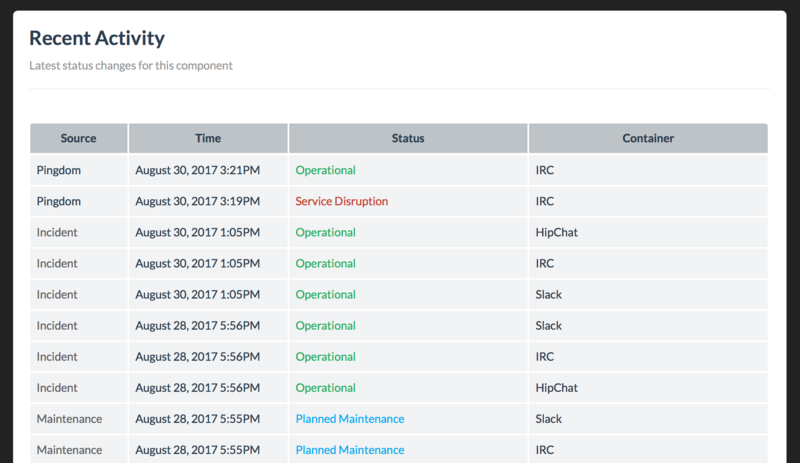 An UP event will cause a component to be operational and a DOWN event will be displayed as a service disruption.